endota spa is Australia’s largest day spa network, and most successful day spa franchise system, with more than 90 locations in every state and territory in the country. By providing the highest quality treatment services and the best in organic skincare products, they have earned an unrivalled reputation amongst consumers. 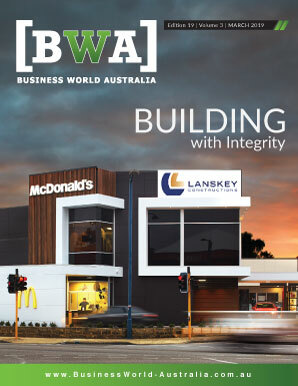 And by offering a collaborative, partnership-minded franchise opportunity, they have earned a similar reputation amongst franchisees. The first endota spa was founded by friends Belinda Fraser and Melanie Gleeson on Melbourne’s Mornington Peninsula in 2000. From the beginning, the two businesswomen had the goal to spread the endota spa name right across Australia – a goal which has since been accomplished, as clients can now find endota spas in resorts, wineries, shopping centres, golf courses, beaches and high fashion streets in every Australian state and territory. 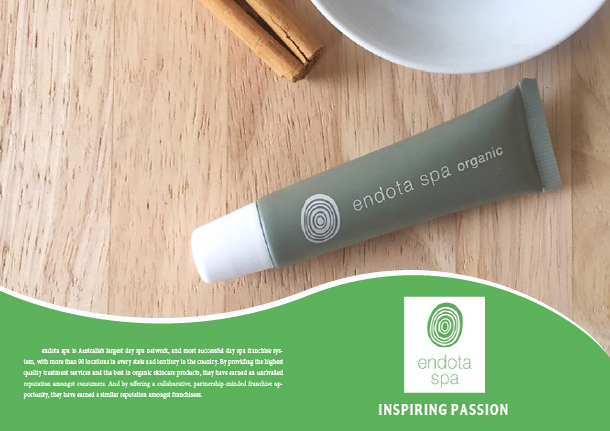 The name ‘endota’ comes from an indigenous Australian word meaning ‘beautiful’ – and that’s what customers can expect to feel after undertaking their spa treatments or purchasing their products. On the retail side, Jonathon says endota spa is set apart by their vast range of products. In addition to developing and selling their own proprietary skincare products and spa accessories, the company is also an agent for Dermatologica, a popular skincare brand based in the US. Of course, that system is so highly valued because of endota spa’s extremely high service standards –which they maintain “across the board.” The company has developed a comprehensive in-house training system for everyone from therapists to managers, and Jonathon says the company is “very picky” about the condition of their facilities. Every endota spa, no matter where it is in the country, must present a “beautiful, welcoming and eco-friendly space,” with features such as flawless white walls, stripped wooden floors and timber benches. The ambience of the spas is also carefully curated, with soothing music and essential oils meandering on the air. Every endota spa location is also encouraged and rewarded for implementing environmental initiatives into their day-to-day operations – which is another important point of difference for the brand. Additionally, the company’s products are all organically-certified by Cosmos, and use natural all-Australian ingredients. Even their gift vouchers are environmentally-conscious, as they include no waste and no excess packaging. Since endota spa started franchising, the brand has grown rapidly and steadily across Australia. Today, the majority of spas are owned by franchisees, but Jonathon says the company’s model is a slightly atypical one. As a result, Jonathon says they look to form “business partnerships” with their franchisees, and give them a greater sense of independence than they might get in other franchise systems. As a brand, endota spas likes to work with franchisees that are willing and eager to be collaborative – and not just with the endota spas management, but with each other as well. According to Jonathon, the majority of those kinds of people start off as customers or employees of the company. They tend to be people who are passionate about the brand and their mission to help people and create beautiful spaces, and they want to get involved personally. That passion is what the company looks for in their applicants. As an example of such a procedure, Jonathon explains that spa customers all receive a billabong footbath before they receive their treatment – and afterwards, they receive a bracelet infused with the scent of the oil involved in their treatment. “These are the kind of rituals we believe are valuable, and these are the kinds of things we pass on to our franchisees,” Jonathon explains. Following that training, franchisees will move on to endota management education, which teaches them about the business side of running a spa. Later, once a franchisee’s spa opens, they will be assisted by an on-hand expert for the first three days. From then on, they can liaise with endota spa’s business development team, who can help with essentially all aspects of the business and will visit each spa several times a year. Franchisees are also part of a network of like-minded business owners, and they can interact with those fellow owners at a national conference held off-site every year, or at therapist awards nights where they can share ideas and socialize. Currently, endota spa has 90 locations across the country, with the majority in the brand’s home state of Victoria. Moving forward, Jonathon says they expect that number to reach 120 in the next two years. Additionally, Jonathon says they are looking to broaden their retail product offering. 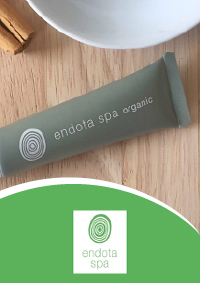 This year, they’re relaunching a line of products called endota spa organics, and have organised a marketing print and broadcast campaign to support it. Next year, they will look to launch the brand’s first cosmetics range, endota spa colour. In general, however, Jonathon says they simply want to increase the positive impact they can have on their customer’s daily lives. They see a need in the market for that kind of service, and they want to fulfill that need.